Unlike EVODUSCH with a thermostat, this system is pre-mixed and heated in centralised system. 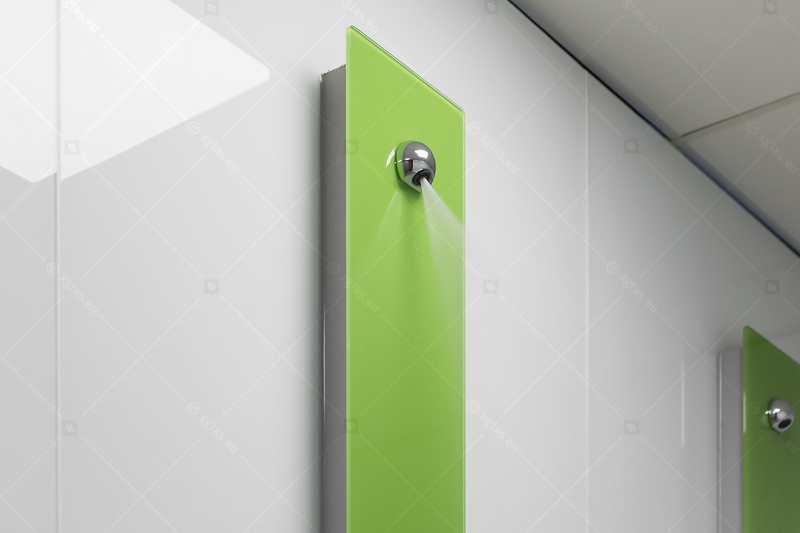 This allows for even better cost management by setting an optimal temperature for all showers. The start button has an estimated 500,000 operating cycles and is harmoniously integrated into the EVODUSCH shower glass panel. The entire electronic system is adapted to operate at 12V, so there is no danger of electric shock, no matter the incident. The shower head is designed and produced using specific materials to limit limestone deposits. 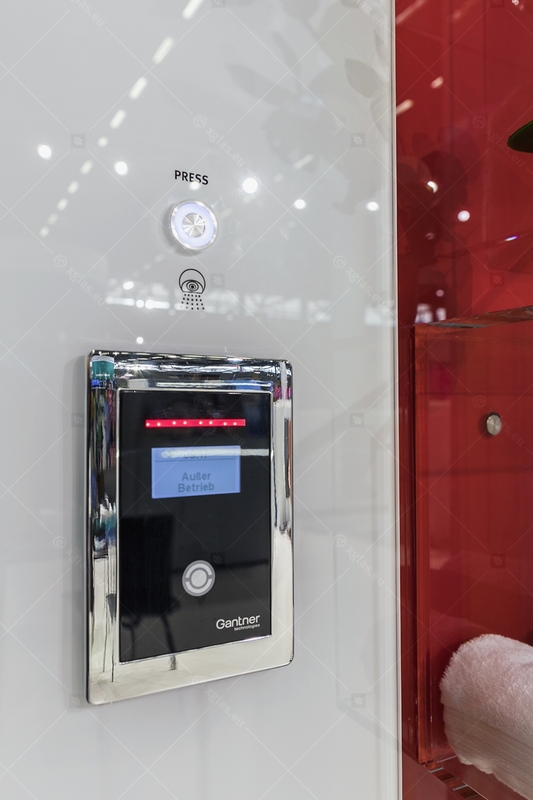 Because high cleaning standards have to be maintained in any public relaxation space, the system is programmed to automatically start 30 seconds every 24hr after the last use. This function ensures a clean environment without the possibility of bacteria thriving and multiplying. The EVODUSCH glass surfaces are treated with EVOCLEAN, reducing potential for lime deposits and making cleaning effortless. Ceramic enameled and tempered EVOKERAM R glass is designed to protect users by virtue of the safety features produced by the tempering process. EVODUSCH is available in all colours of the RAL palette. Optionally, the EVODUSCH shower panel can also include EVOPRINT ceramic digital printed glass, images or pictures.